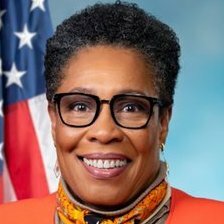 Marcia Fudge has provided voters with clear stances on key issues by responding to the 2018 Political Courage Test. I believe in regulation of indirect campaign contributions from corporations and unions to the extent that such contributions must be disclosed as are all other campaign contributions. I supported some reduction of corporate taxes, but believe that they are now too low since the December 2017 tax legislation. I believe that the state you live in should not determine the quality of your education. Although I do not support the legalization of marijuana for recreational purposes, I do believe in the decriminalization of marijuana. No Should the United States use military force in order to prevent governments hostile to the U.S. from possessing a nuclear weapon? My top three priorities are education, health and wellness, and economic development and opportunities. Funding levels for education, including early childhood programs and retooling of adults for 21st century jobs, and health and wellness should be slightly increased. Savings realized from reallocation of funds by decreasing levels of other spending categories should be more than adequate to meet the increases. Public/Private partnerships also help reduce the need for public funding. Investment in infrastructure and economic development would create jobs, and increase commerce, the viability of communities and their tax bases to realize short, mid and long term return on investments.